We will be starting lessons on a new initiative for E Safety very soon. We will share additional information as it comes out. Carolyn Bunting, general manager of taskforce partner Internet Matters offered some advice for parents worried about cyberbullying. “Children are born into a digital world; they are learning, communicating and growing up online,” she said. “But the online world can pose certain risks, such as cyberbullying. ● Talk About It: If your child is using social media or communicating online, don’t wait until they experience cyberbullying to talk to them. ● Beware What They Share: Discuss with your child what they should be sharing online and how it could invite bullies. ● Learn about it: Find out about the apps, social networks and online games they are using and what they are able to share through them. ● Take Control: Set safety filters on their devices and ensure privacy and settings are at the highest level on social media. ● Take It Seriously: Check in with your child regularly and look out for signs of cyberbullying. 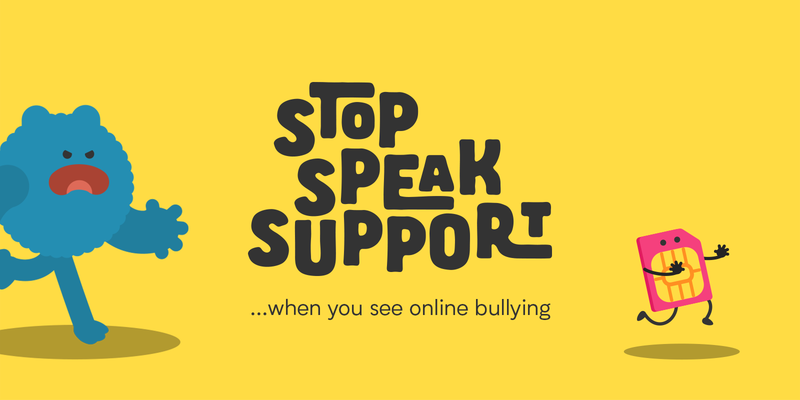 Remember that children can be targeted by cyberbullies at anytime and online bullies can be anonymous.